Our easy to follow step by step instructions will guide you through the process of applying for your Chinese visa. Let’s get started! SF jurisdiction includes the states of: Oregon, Washington, Alaska, Nevada and the following counties in northern California: Alameda, Alpine, Amador, Butte, Calaveras, Colusa, Contra Costa, Del Norte, El Dorado, Fresno, Glenn, Humboldt, Inyo, Kings, Lake, Lassen, Madera, Marin, Mariposa, Mendocino, Merced, Modoc, Mono, Monterey, Napa, Nevada, Placer, Plumas, Sacramento, San Benito, San Francisco, San Joaquin, San Mateo, Santa Clara, Santa Cruz, Shasta, Sierra, Siskiyou, Solano, Sonoma, Stanislaus, Sutter, Tehama, Trinity, Tulare, Tuolumne, Yolo, and Yuba. Please note: Common problems completing the Chinese Visa Application Form / Please Read! The visa application must be typed - it cannot be completed by hand unless "VIP Service" is ordered. All questions must be answered. If the question does not apply, enter "N/A" as your response. Print the application on four (4) separate pieces of paper - do not print double-sided. You must send your physical passport - copies cannot be used for visa issuance. Your signed passport must be valid and contain sufficient blank visa pages - visas are stamps affixed to the blank "visa" pages of your passport. Amendment pages (clearly marked) in the back of your passport are not acceptable for visa issuance. You need to have (6) months validity on your passport upon re-entering the US before applying for the visa. Please make a clear and legible copy of the information page (the page with your passport photograph) of your passport. You will need to send this in addition to your actual passport. This requirement does not replace the need to send your physical passport. Your passport must be presented to the Embassy - the embassy will issue the visa on one of the blank visa pages of the passport. The copy of your passport will be submitted along with your visa application and remain with the Embassy. Your passport photograph (1) must meet specific standards or it will be rejected. Please carefully review the China Photo Regulation (Important). (We offer passport photo services). Important: Please do not staple the photo to the visa application. If you wish to attach the photo simply attach it with a paper clip or send it loose and we will attach it for you. A business invitation letter from China is required. Applicants must submit proof of residence/address (No PO Boxes are accepted). A copy of your State ID with picture and address on it is the best form of proof. You may also send a copy of a utility bill provided it shows your name and address. A photocopy or round-trip ticket/itinerary in the applicant's name isn't required but sometimes the consulate may request a copy after submittal. If you have this please include otherwise disregard. A copy of the visa must be submitted (most recent visa). A copy of the vital information page (page with photo) of the passport containing the visa. A copy of the last previously issued visa. If you don't have a copy of the most recent visa or passport, you must write a letter explaining why you do not. The letter must bear your original signature. 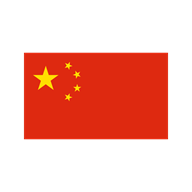 An applicant who was born in China is required to submit his / her Chinese passport. If your Chinese passport is lost or stolen or no longer in your possession, then you must provide a copy of your most recent Chinese visa. If you cannot provide either then you must write a letter indicating you are no longer in possession of your Chinese passport and you have never been issued a visa. Please CLICK HERE to see the current Government and Service fees. A photocopy or round-trip ticket/itinerary in the applicant's name is required. Chinese Visas Expedited as Fast as in 24 Hours! Chinese Visas are required for all US Citizens and many foreign nationals prior to leaving the United States. Using our Chinese visa service, we can personally guide you through the Chinese visa application and obtain your China visa in time for your trip!